IT'S VALENTINE'S DAY INSPIRATION WEEK! All this week, I'll have fun tutorials, outfits, and recipes for you to get ready for Valentine's Day. 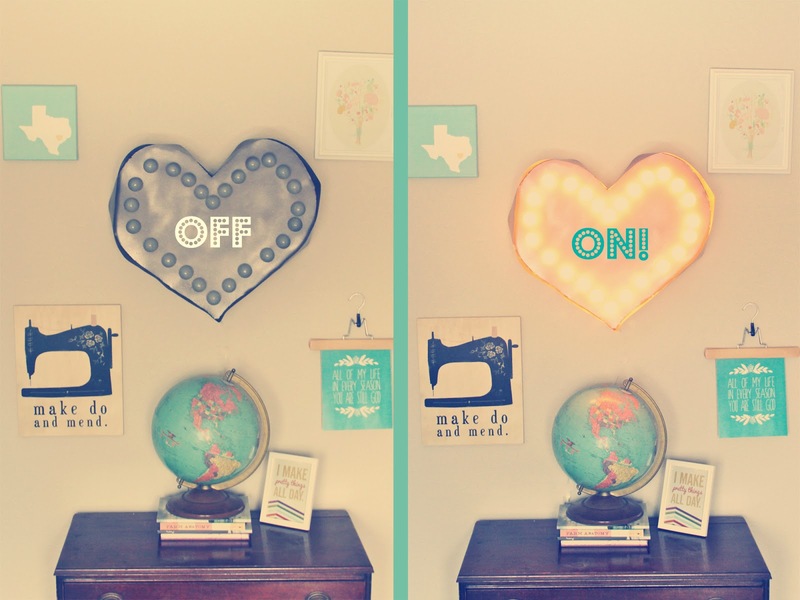 Marquee lights are a great way to add an eclectic and unique feel to your decor. However, they're quite pricey and will easily run you a couple hundred bucks. If you have the cash, support this cute husband and wife team...otherwise, follow this tutorial! This is my second marquee light to make and although EXTREMELY time consuming, the end result is always SO fun. It's actually pretty affordable to make and as long as you work carefully and hang in an area that won't get messed with, it should last just as long as a metal sign. I followed the directions from here originally and made this arrow. 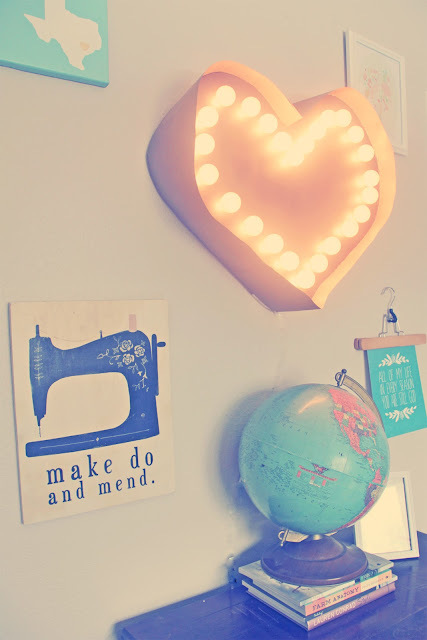 Today, I am going to share some extra steps and some specific changes to make for a heart shaped marquee light. Ready? Let's go! 1. 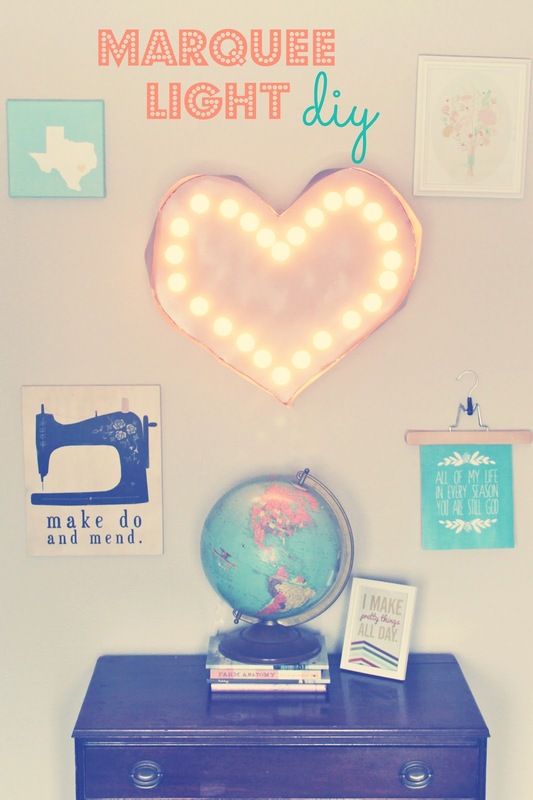 Draw & cut out HALF a heart template with newspaper onto the foam core. Trace it, flip, and trace the other side. This will ensure that both sides are even. 2. Cut out with an exacto knife. 4. Onto the BACKSIDE of the heart, sketch a line about two inches in - all the way around - and then measure the holes you will cut for the light bulbs. Make sure they're not too close together! You can use the cardboard the lights come on to see how far apart they should be. 5. Cut holes out using your exacto knife. This is one of the time consuming steps. Cut the poster board into long strips, about 5 inches wide. Glue them together with the TEEEENSIEST bit of overlap with the hot glue gun. You can reinforce the top or under side with tape if you'd like. You'll have one, long strip at this point. Place the poster board around the heart, make folds where needed ((for the point at the bottom and indention at the top)), and cut about two-three inches longer than needed. This gives a bit of excess if you mess up. 6. 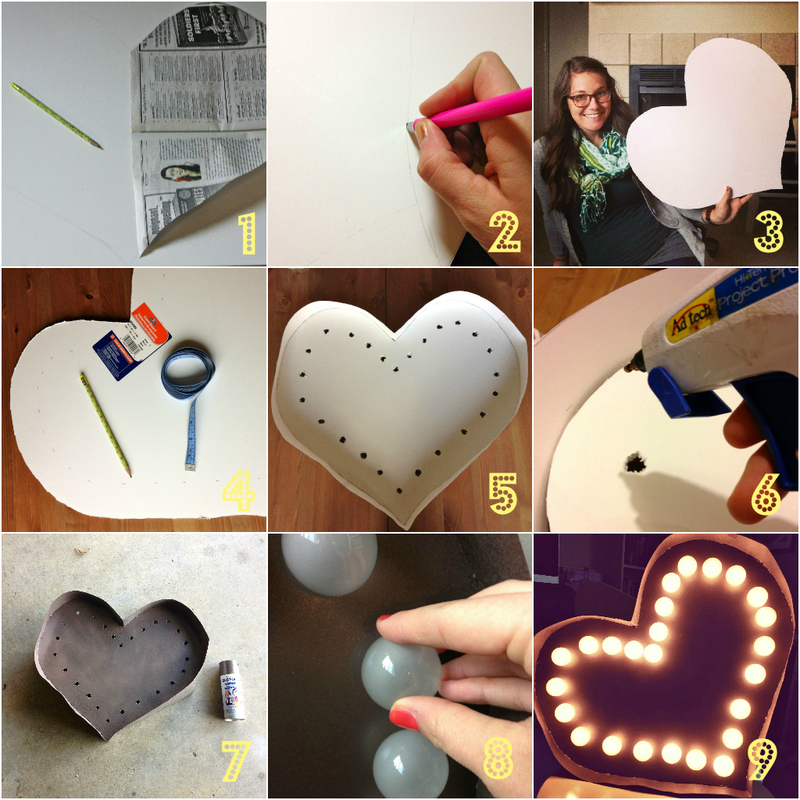 Glue the foam core heart onto the poster board. It should"sit" about two inches deep. Reinforce in the back with packing tape. 7. Spray paint it. I chose rustoleum that is a bronze-y brown that gives a hammered look. I wanted it to be a little rusty rather than super girly...which my original choice of coral would have been. 8. Put the lightbulbs in from the front. Twist them into their fuses/bases from the back. 9. LIGHT IT UP!!!! Hang where you want and plug in an extension cord that blends with the wall. Oooo I love the initial idea! Also, will you make this for me? ;) I don't have enough will power to make things this cool. shut up!! this is soo neat!! love it~!! oh my goodness. the couple is adorable!! loved their video~ also love your version! thank you! i have wanted to do this!! gorgeous + easy tutorial! love it! This is amazing! I'm going to try it this weekend.. Kudos! This is so stinkin' cute!!! I love it! This is a really good idea! I'm thinking of putting it on my bucket list for summer this year! And just to let you know, I really enjoy your blog!